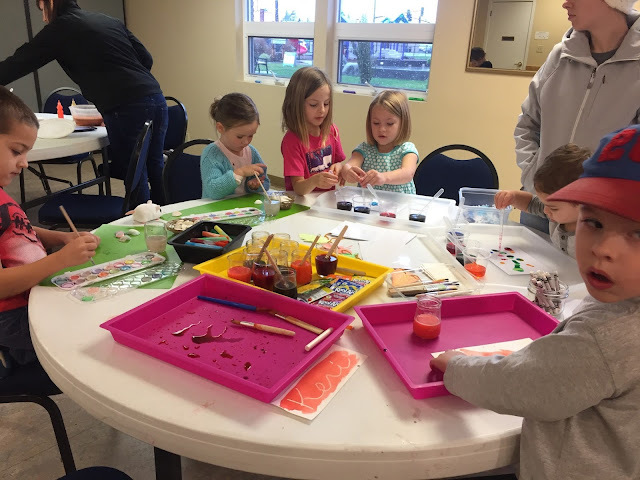 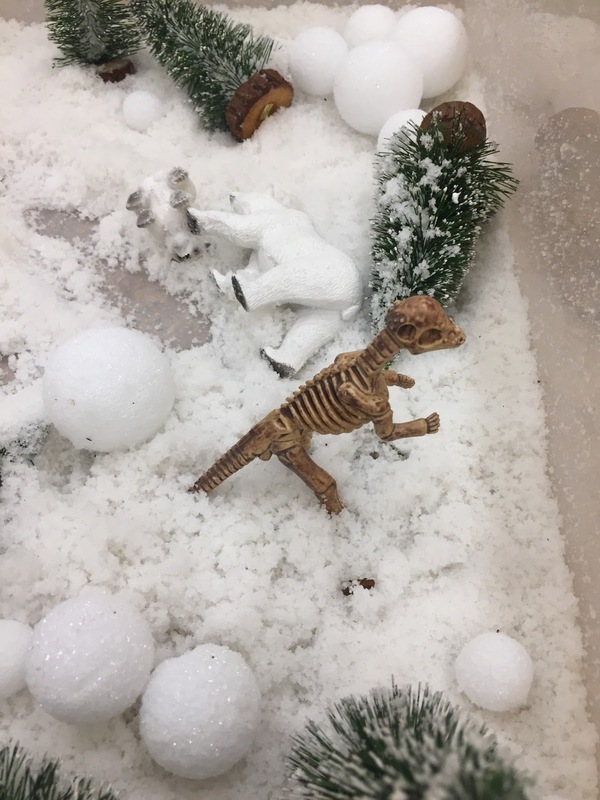 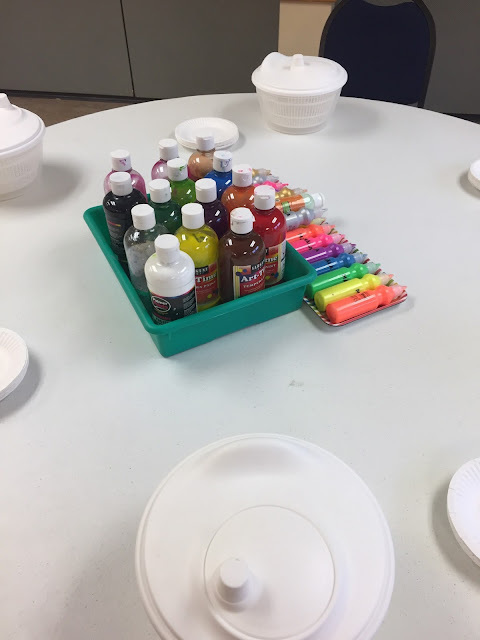 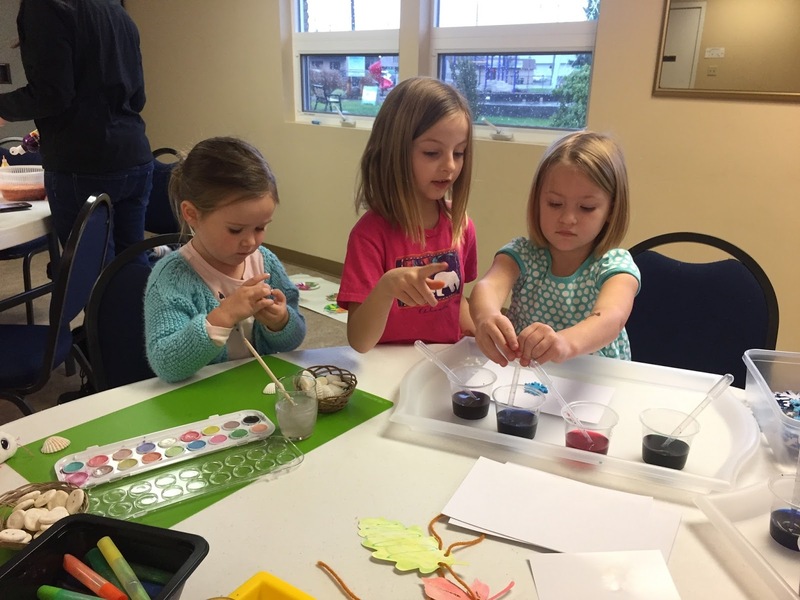 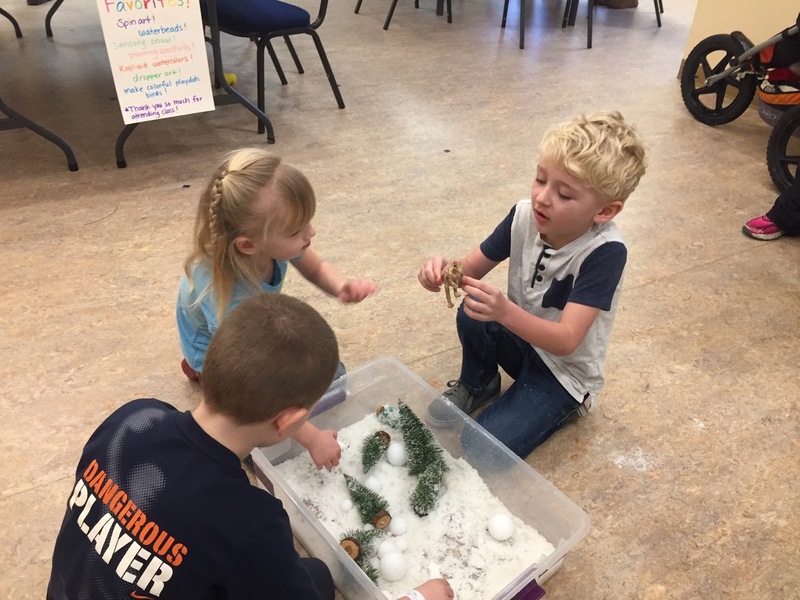 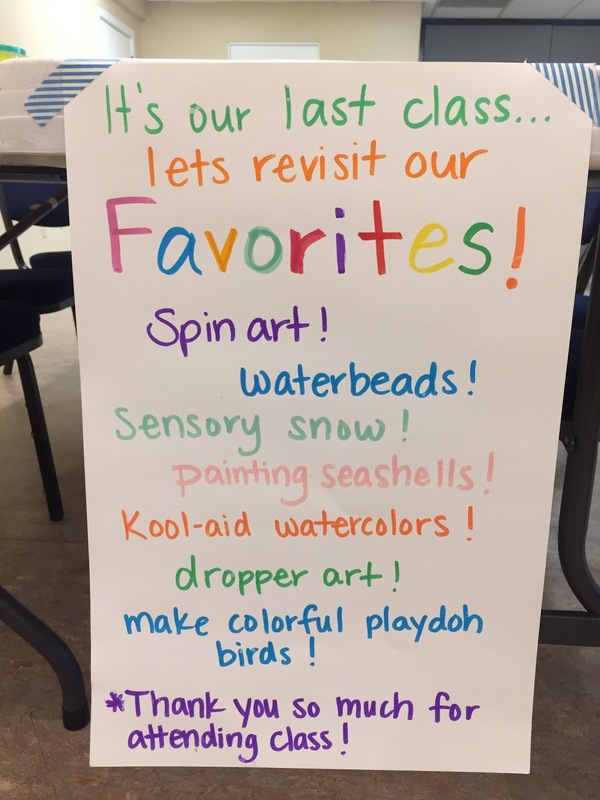 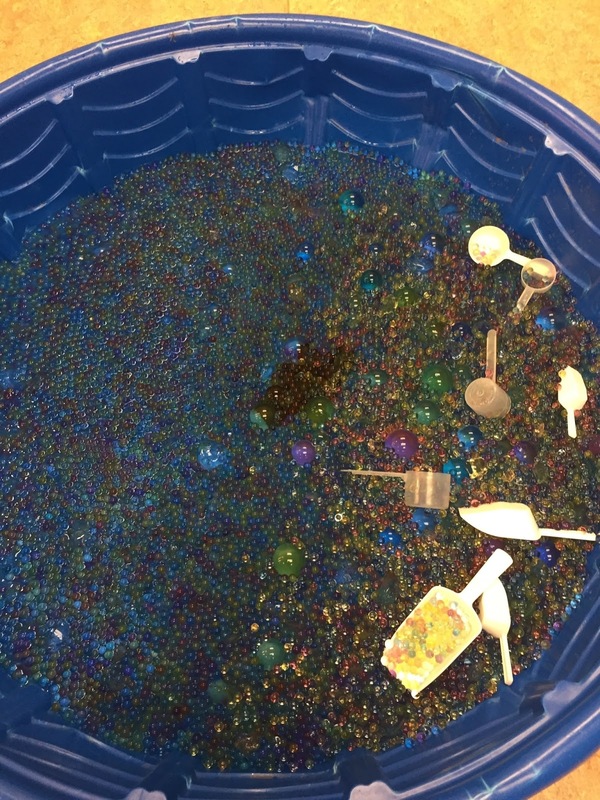 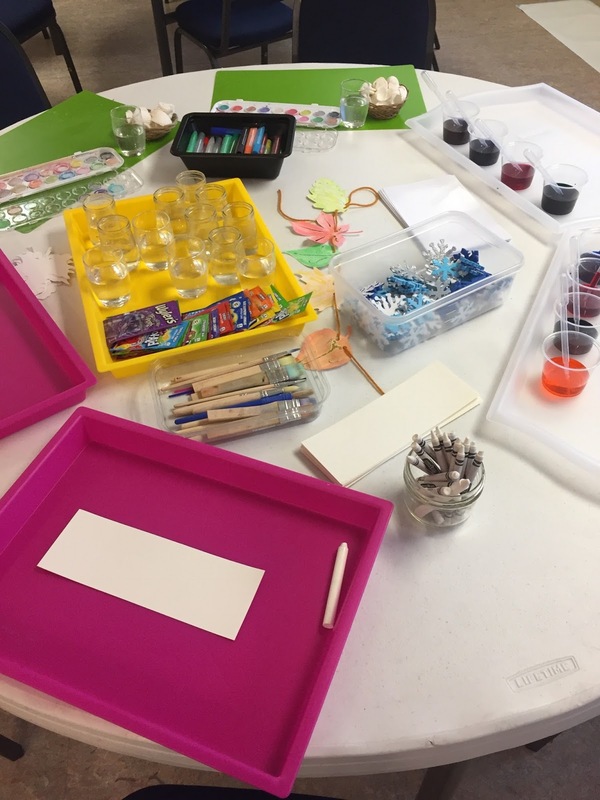 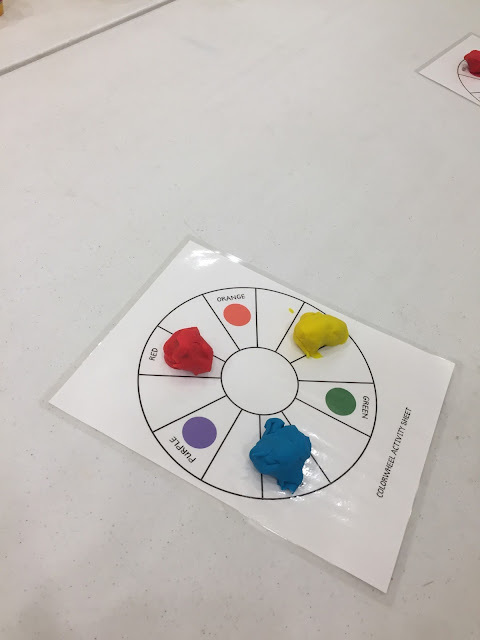 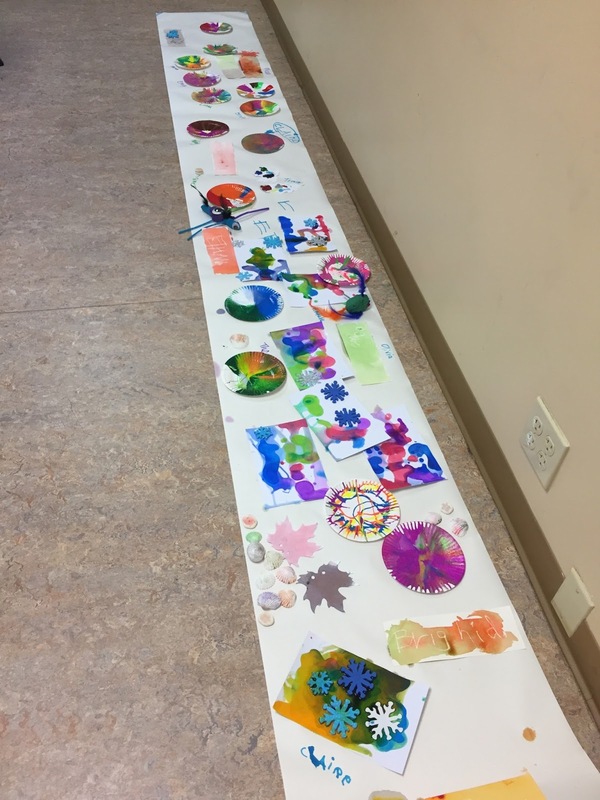 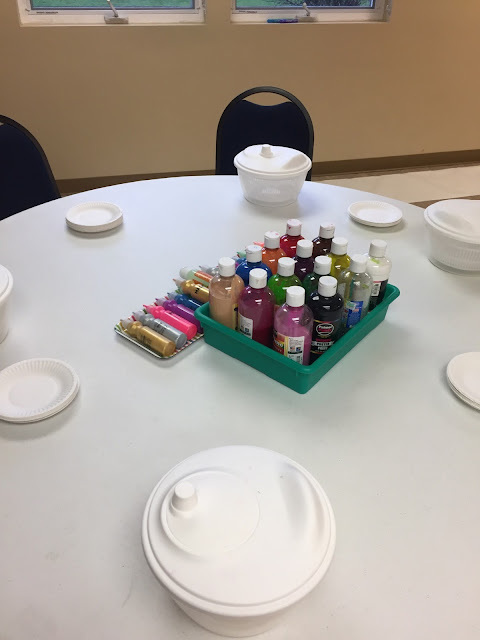 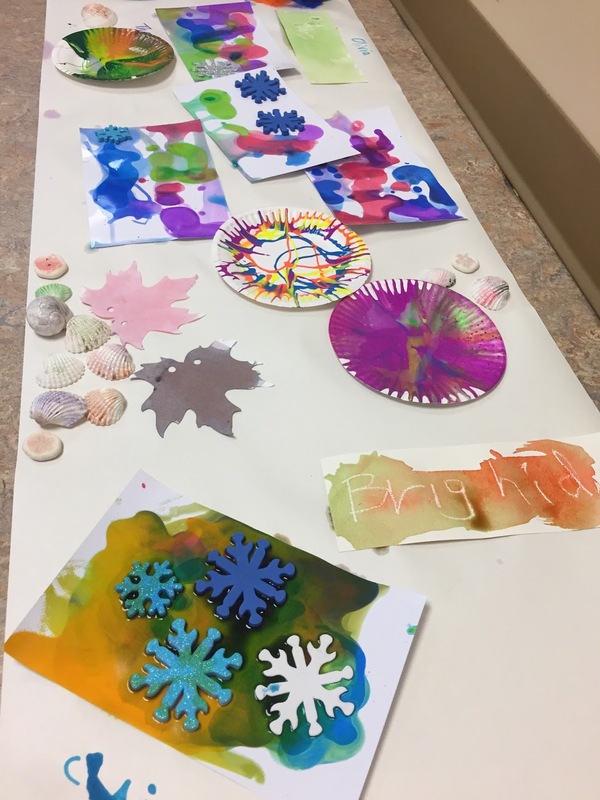 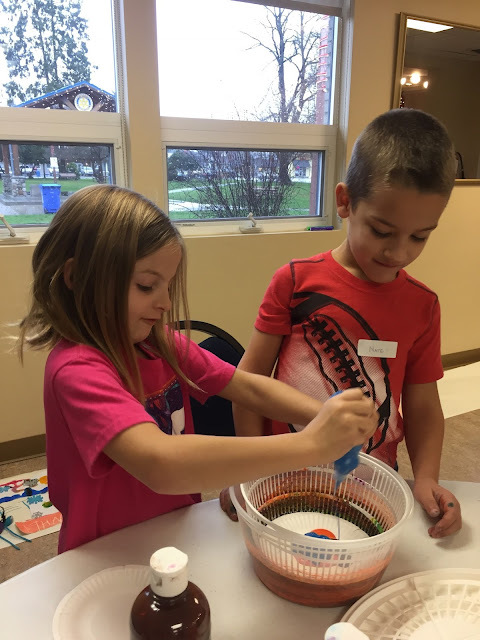 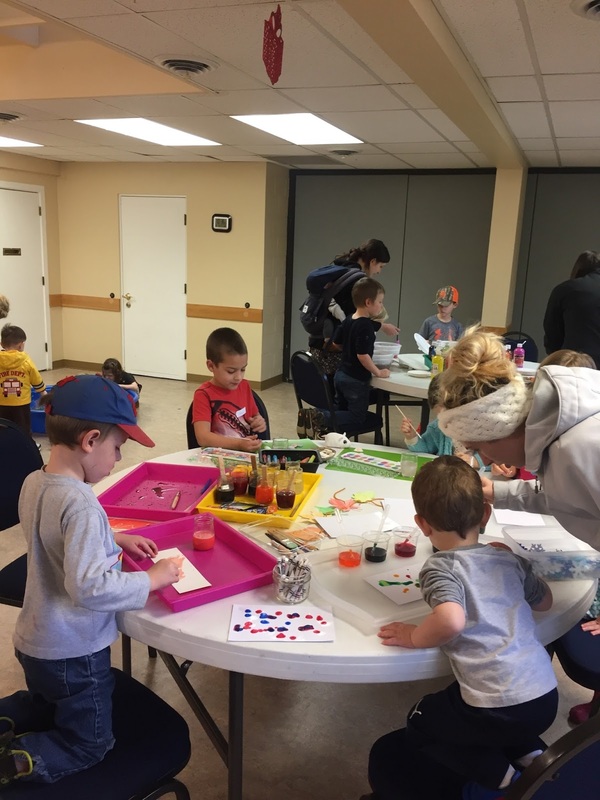 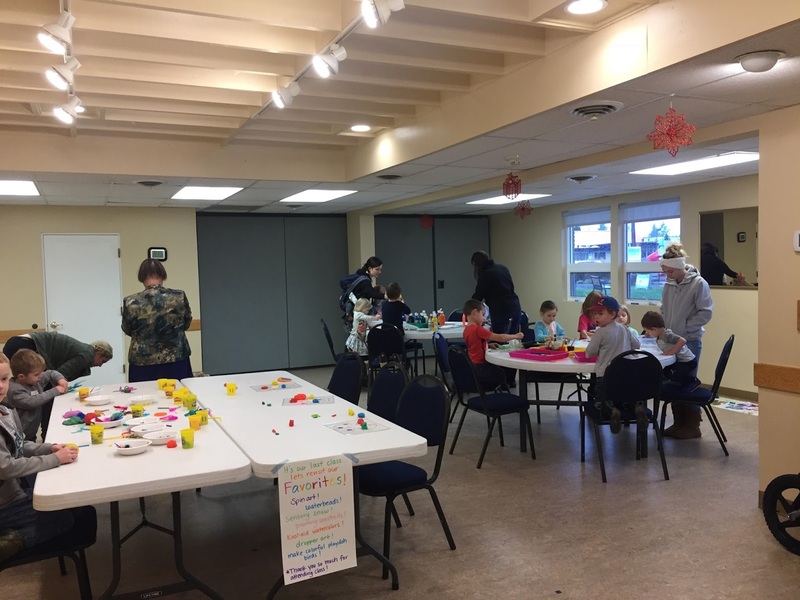 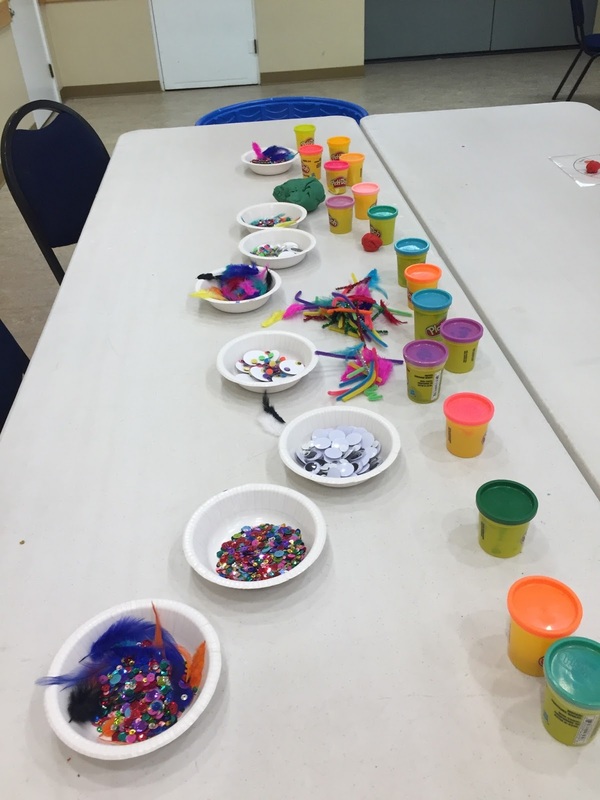 Schoolhouse Ronk: Sensory Art Class #13 Favorites! For our last Sensory Art Class we did a Favorites theme! 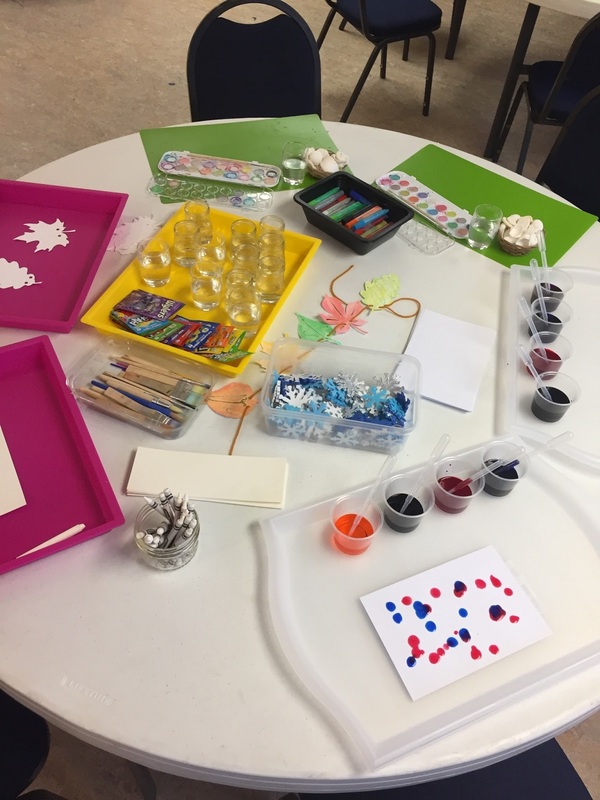 At this table we had Koolaid Watercolors resist bookmarks, watercoloring leftover paper leaves, drip painting, seashell painting, snowflake drip painting..
At the Play doh station I set out supplies to make colorful play doh birds.